The speech contest and pop song contest event for elementary school have been pushed back a week. My books are almost finished so I’ll have to make materials for the two weeks. I really want to make crafts with my elementary school and go over anything we’ve studied as a refresher. My mission is to get creative so that my last two weeks at school are educational fun. I’ll have to go to work early tomorrow to get half of my progress reports finished–that’s 16 students I’ll have to write, edit and send emails to my co-teachers for. All four classes progress reports (that’s 30 students) will have to be finished and sent Friday morning. I love how I’m told the week of to do these things, but there wasn’t a foreigner teachers meeting last week. And it’s how things are done all the time. As a teacher here, you just have to be flexible. And me coming in early is just one of those things I take as being so. If you don’t make time work for you, then you’d be a stressed teacher! I’ve got to run tomorrow! My 10K in Pohang is next week! One hour Tuesday-Friday, an hour and a half on Saturday and a rest on Sunday should do it. I’m excited about running, but I really hope it’s not thundering and lighting like it was this morning. If so, I’ll have to run less (when the lighting/thunder stops) or run at night. Feeling unprepared after running a race isn’t something I want to go through again. So, I have to do what I have to do to make my body and mind ready for August 15th! 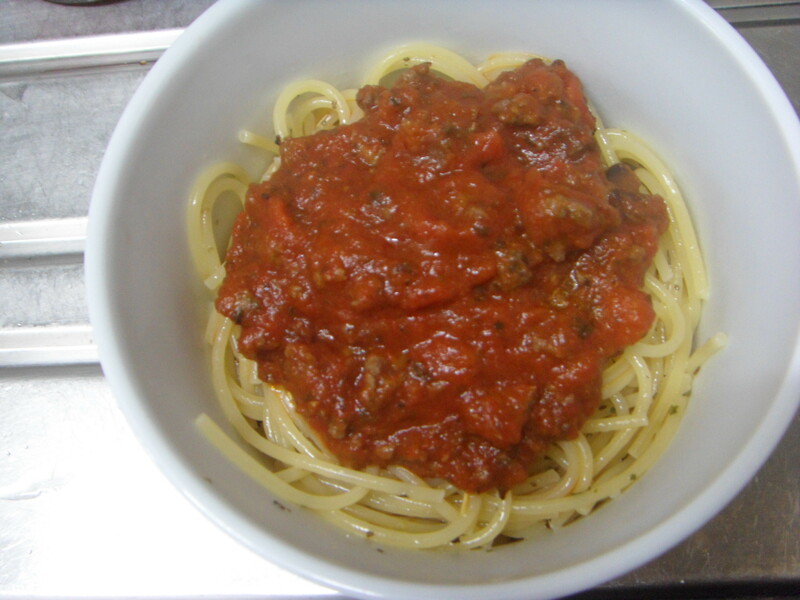 Awesome spaghetti I made tonight. It’s the best I found when you put in fresh meat with a mushroom Prego sauce!